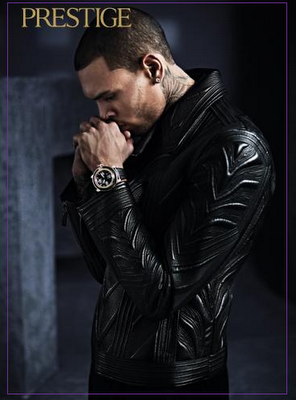 KayKiSpeaks.com: @ChrisBrown talks charity work, @MTV, TLC, and more in brand new interview! @ChrisBrown talks charity work, @MTV, TLC, and more in brand new interview! 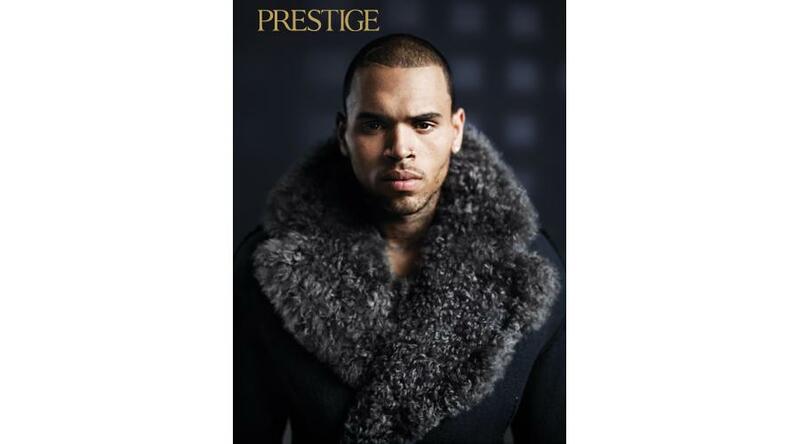 In a rare occurrence, Chris Brown sat down with Prestige Magazine for a full interview focusing on his creativity and career. The 23 yr. old superstar hardly ever does interviews anymore in an effort to sort of avoid the negativity that most of them tend to bring for him. This interview was different. As I started reading it I realized first that this interviewer/writer is GOOD. I loved the introduction on Chris. Then as I read through the interview, it was really refreshing to see that they were able to ask a lot of relevant questions about how a 23 yr. old like Chris is so talented in so many ways. I learned a lot from this interview that I never ever knew about Chris. I felt like, "FINALLY an interview about how truly talented this guy is!" It was a really great read and the high fashion photos aren't too shabby either. Check out some of the interview below. Being able to direct by myself and have full creative focus and being able to know the cameras – that was the easiest part. The vision is the hard part. Whenever you’re sleeping, you have that dream or that nightmare and that’s your video. That’s how I kind of interpret it. Or whatever I see when I hear the music, whatever vision I see, I put it right onto paper and put it out on the video. Like the video for “Don’t Judge Me” – it was me going into a spaceship. Not to be arrogant when I say it, but I want to be the Steven Spielberg of music videos, to be innovative and young, not to put a bar on it just because of budgetary issues or certain capabilities. Absolutely! My nostalgic feeling of working with kids is because of my mom working in day care. I was in day care when I was three weeks old. Growing up in day care with the kids coming in and out, when I turned 13, 14, 15 I was doing the same job as her. It’s easy! I used to watch them in day care and they’d all be asleep. Someone would say to me, “Man, what did you do?” And I’d say I just ran them outside and I have just as much energy as them. It’s just being a kid and having that free spirit with them. They see me having just as much fun with all the responsibilities I have, with all the life stuff that I deal with every day, still taking time out to just smile and play around. I’ve been involved with [St. Jude & Best Buddies] since I was 15, 16. It’s not about recognition, because that’s not what satisfies me. The satisfaction is people that are getting helped or are benefiting from whatever I donate, whatever I contribute to their lives. I don’t like it to be publicized If there are cameras around, it’s cool. But I do it from the heart. When I go on TV and do my videos, that’s the artist Chris Brown. But when I go and do [charity work] it’s just me – it’s just Christopher. The whole ’90s era shaped who I am, from MTV to Kris Kross to Vanilla Ice to MC Hammer to Hootie & The Blowfish and TLC. 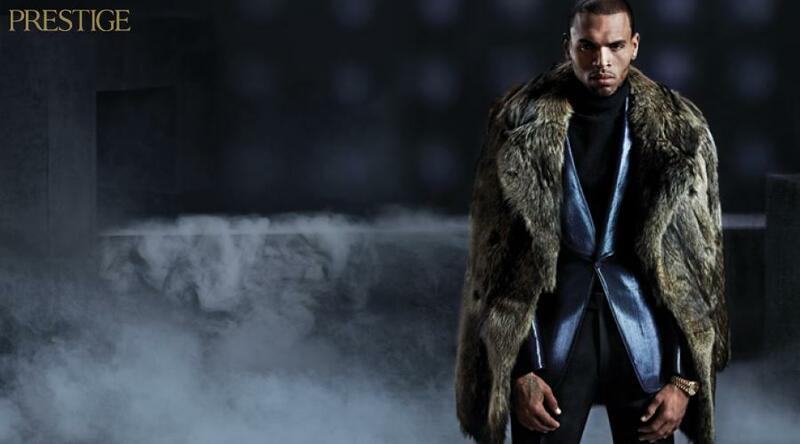 Also people like Michael Jackson – you can even say he’s the reason why there is a Chris Brown. A lot of different artists growing up shaped me because I don’t listen to one form of music.